Decorating a home when space is a problem is not easy. But here at homify, we aim to provide you with solutions for even the tiniest apartments. Just because space is limited, doesn't mean that you can't entertain family and friends. This Ideabook will make you realise that by adding simple and creative decor choices, you can have a nicer home, one that is free from clutter, more comfortable and stylish too! We'll show you how to maximise each aspect of your small interior to create a trendy living space! Let's begin! One of the easiest ways to create a great interior is through simple and elegant decor. This living space hack will create a comfortable atmosphere and doesn't have to be filled with knick-knacks. Decor can be anything from a colourful vase filled with beautiful flowers to elegant paintings adding just enough style to a living space. How about a simple round dining table in a small kitchen that serves as extra workspace, and an eating area for a few guests? Continue reading this Ideabook compiled by the homify team to be inspired with these great home decor tips! 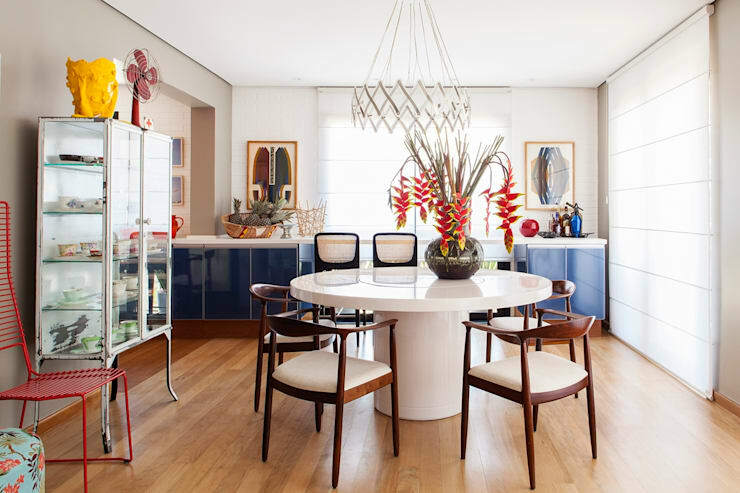 Have you ever thought of incorporating a folding table into your home decor space? This is a clever way to enjoy a good family style meal with loved ones with the option of folding the table and storing it away when you no longer need it. 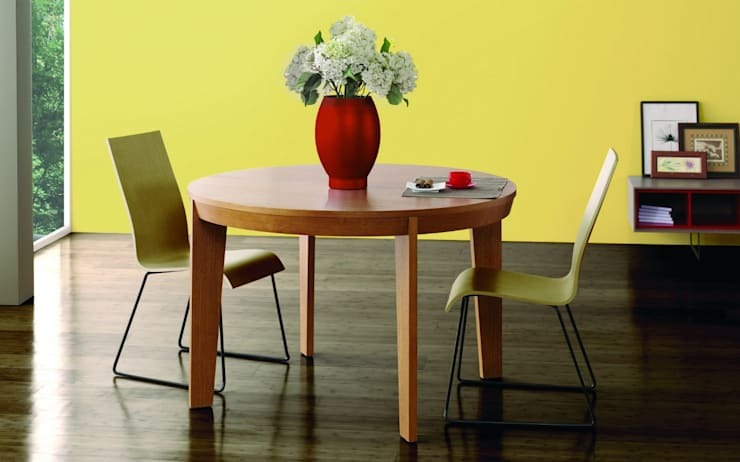 For extra space saving, opt for a table that is round, this will ensure that there are no edges and corners jutting out that takes up walking space. So go on and invite your family over for a delightful meal and no one even needs to sit on the floor! 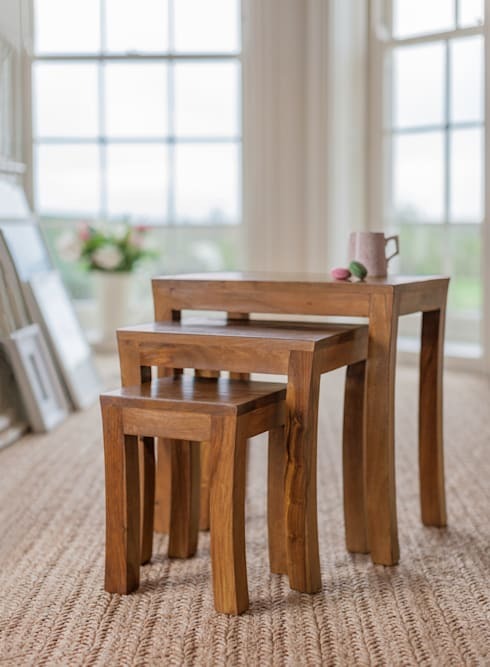 These stackable style tables will add character to any home, big or small! They can maximise space in a number of ways and are interchangeable as seats, stools or even side tables if need be, just add a simple cushion for a comfortable spot! The tables are stackable and will take up minimal space in any home! We love the idea of including this adorable wooden and simple home decor style to the home interior. So don't give this option a miss, they might just come in handy in your living room! Elevating tables? No we don't mean in the futuristic sense. This option includes a table that lifts up to create an eating area for one two people. It's an alternative if you really do not have space for a dining room table, or want to just sit back and enjoy a good meal on the couch while enjoying a movie. 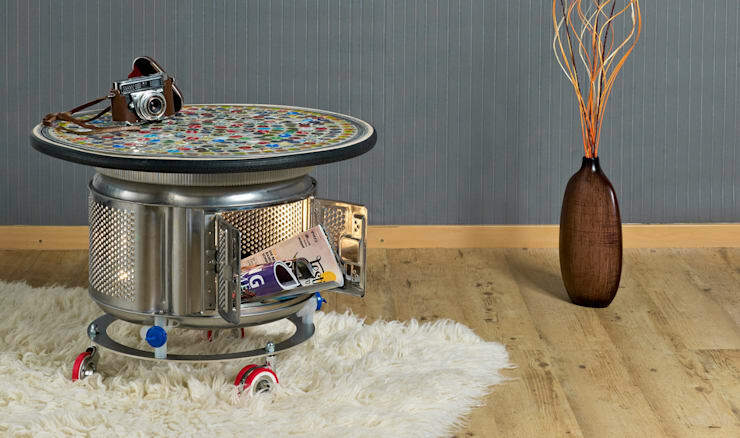 You already needed a coffee table, so this is a combination of a coffee table and eating space. It's a lazy person's dream eating space! So if you don't plan on entertaining a few people at a time, this might just be the perfect choice for you from MUEBLES EGELASTA S.L.! 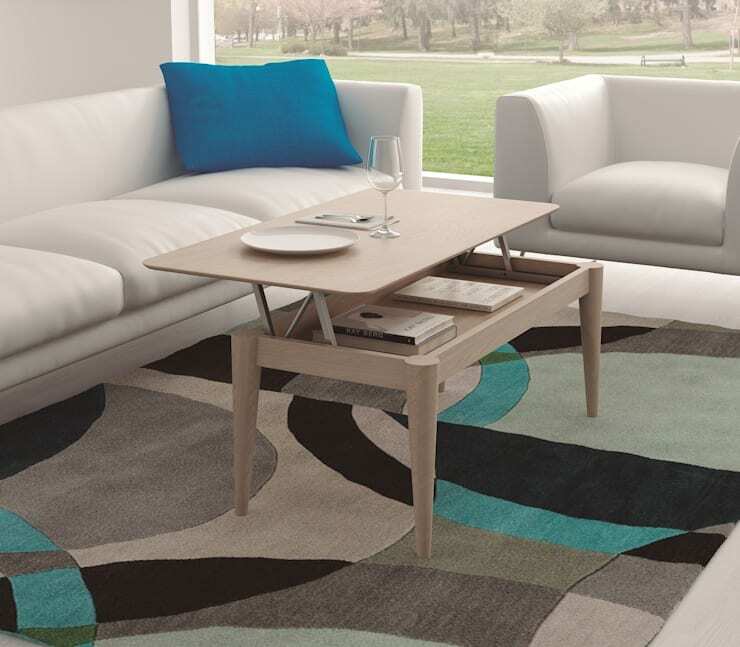 The rack table, well it's definitely a colourful and growing trend in modern living rooms! This is a great way to add a simple storage solution for all those books and magazines, while doubling up as an adorable coffee table. It's funky and artistic! The modular option can be split up and changed to suit your individual requirements, so just in case you need a bedside table. This option is perfect for you too! Add some colour into any corner or your small home and create a fantastic yet colourful display! Everyone seems to be growing a bit more concerned about the environment, this is not necessarily a bad thing. So instead of buying a brand new coffee table or storage unit… how about opting for a recycled or upcycled piece of furniture? This is a fun and artistic conversation starter in any home and we love the unusual yet original options available to suit your personal style. Home decor is anything but boring with these amazing statement tables' options. How about some Flexible furniture for a small home with this homify Ideabook inspiration? How have you solved the space problem in your small home? Do you have any tips? We'd love to hear them!